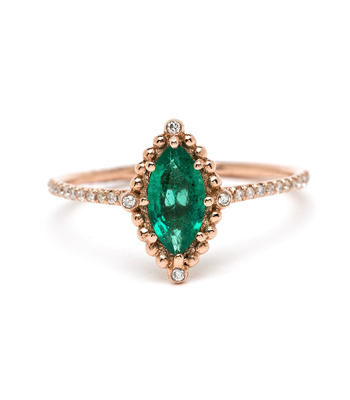 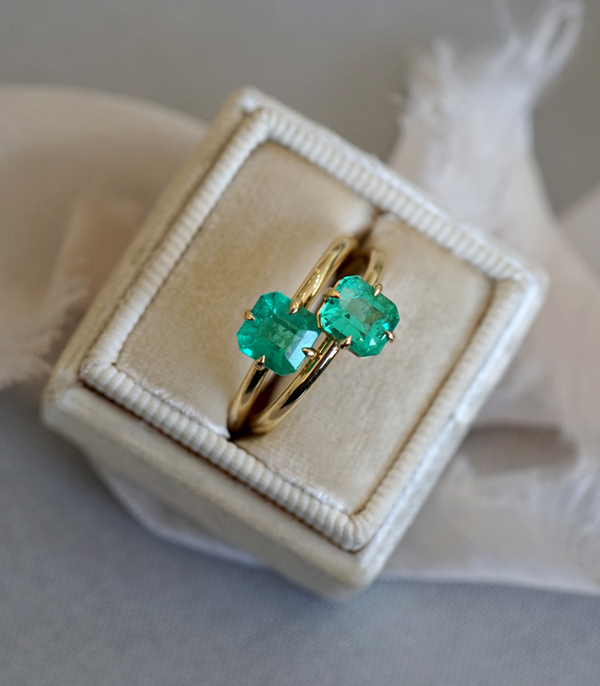 As unique as it is classic, this 18K shiny yellow gold, emerald solitaire was designed with sleek sophistication in mind. 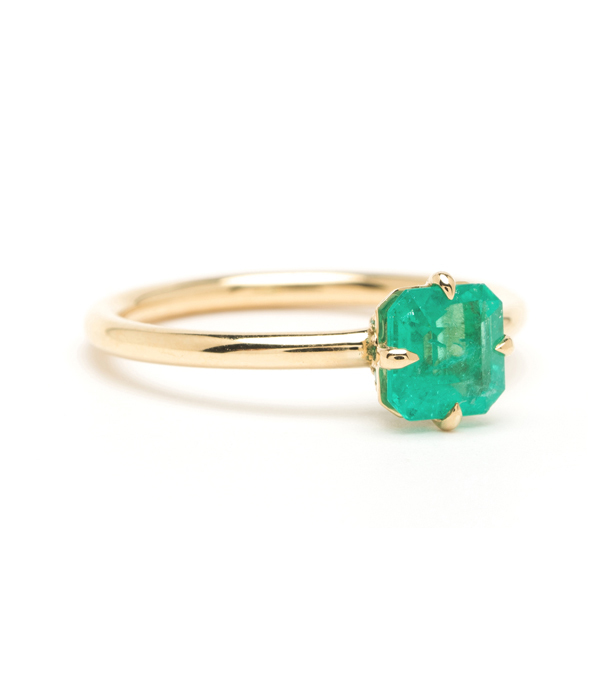 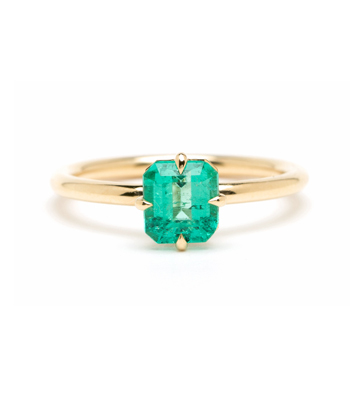 One vivid Emerald center stone (0.83 ct) is elegantly set on a smooth round band. 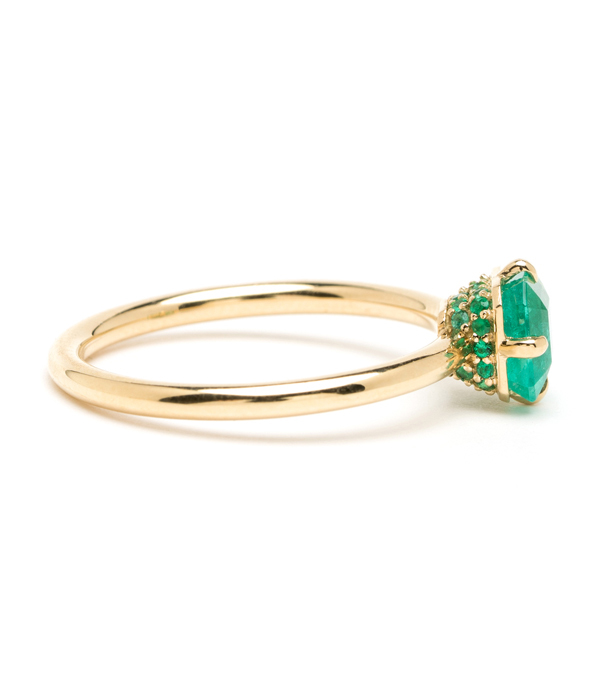 Tiny emerald gems, pave set along the base of setting, add an exquisite finishing touch. 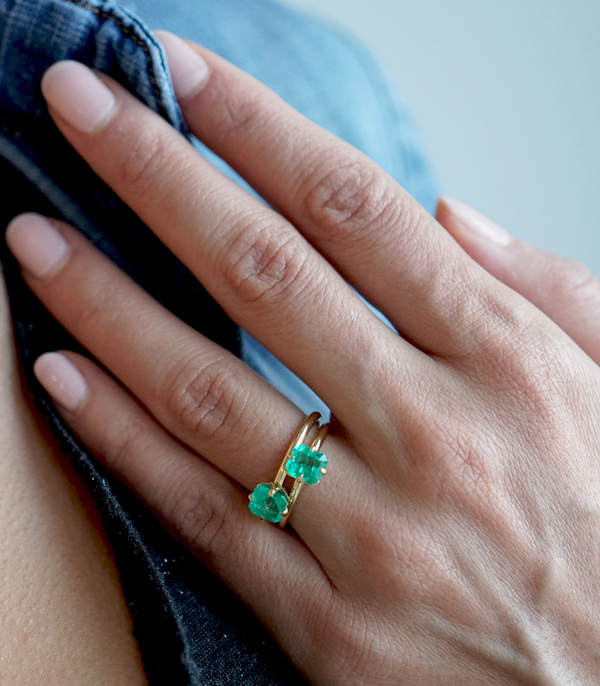 This one-of-a-kind ring would make an excellent engagement ring or a fabulous right hand ring for a classy, modern woman who appreciates a vibrant splash of color in her world. 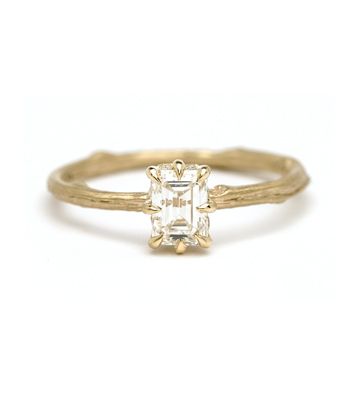 Categories: All Engagement Rings, Gemstone Rings, One of a Kind Bridal, Simple Solitaire.